And as a trader that’s no help to you! Yes, I do research the fundamentals and much of what the so called experts are saying I agree with. I will also be talking a little more about this in the coming weeks. As a trader and someone who believes in having a clear trading plan, that’s not mine or my student’s game and not what we use to trade! We are in the process of timing and here at TSC! We trade strategies we trade set ups (long or short) and nothing happing in the economy changes that. I short, we have a plan to steer our ship regardless of what the sea conditions around us are doing! 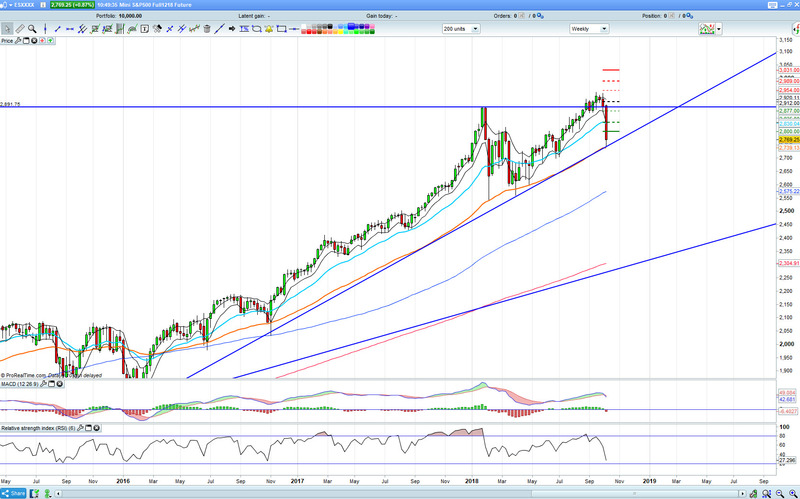 The above S&P Futures charts shows it nudging its weekly trend line and weekly 50MA for the first time April this year. From a technical perspective we are watching this level to see if holds and cross correlating this with the levels on the Dow (not shown). If it doesn’t hold we have a clear plan of what and when to trade it short. That doesn’t mean those trades will work, it simply means we have a clear trading plan that has clear risk managed downside opportunities if, and I repeat if that move happens. 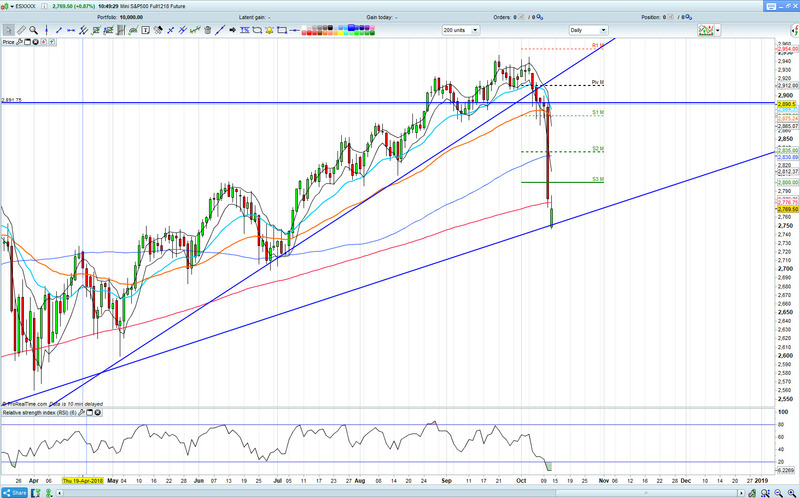 So, this could be the start of a bigger downside move. The question is if you are holding Index ETF’s or Index tracking mutual funds and the markets do break these current levels and this is the start of something bigger, do you have a clear trading plan? ?